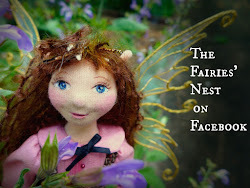 The Fairies Nest - OOAK Cloth Dolls & Fiber Fantasies: Happy Earth Day! In Honor of Earth Day I thought I would share with you one of my new favorite shops. 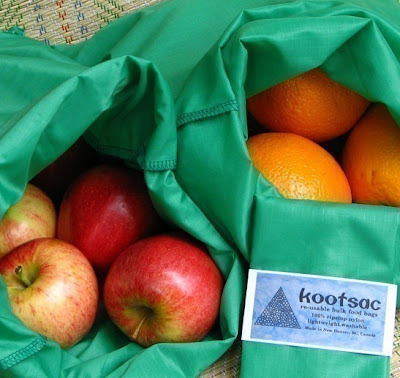 Kootsac on Etsy makes marvelous reusable bags that are perfect for packaging bulk purchases and produce at the grocery store. I get all kinds of ooohs and ahhs at the local Earthfare when I show up at the register with these brightly colored and light as plastic bags. They come in a variety of sizes, are extremely easy to care for, are very strong, and help keep plastic out of landfills and waterways. What more could you ask? Go and get some today! 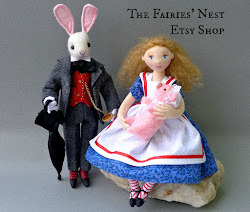 In other Earth Day news, many members of the NaturalKids Team are having sales today... including The Fairies Nest where all items purchased today will recieve free shipping! You can find a complete list of participating shops here. 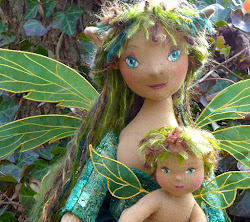 And lastly I leave you with a little blossom fairy who hopes all of us will think about what we can change to help make sure this lovely planet continues to be a safe home for all forms of life. And happy Earth Day to you too. I only wish every day could be Earth Day, when we thought about the consequences of the choices we make and then things we do! Happy Earth day to you too! Thank you for sharing the little colorful bags. I will check these out on Etsy! And a sweet kiss to that darling fairy! I love her! 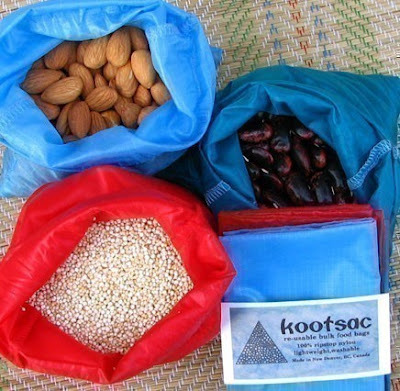 Really cool sacs. Hope you had a lovely Earth Day Celebration! Adorable blossom fairy!